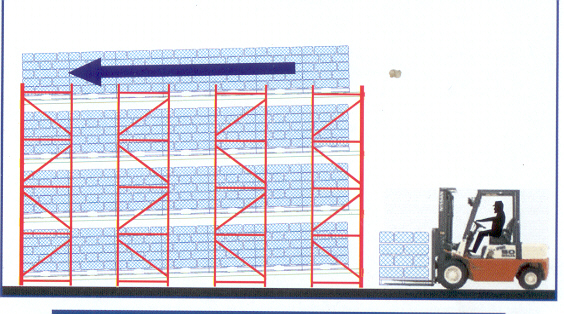 Pallet Flow racking is the best solution for First In / First Out ( FIFO ) applications. Advantageous for low SKU counts, with high activity and pallet in / pallet out or pallet in / case out, where strict FIFO is required. Selectivity typically reduced by 80% vs. Selective. FIFO ( First in, First out ). 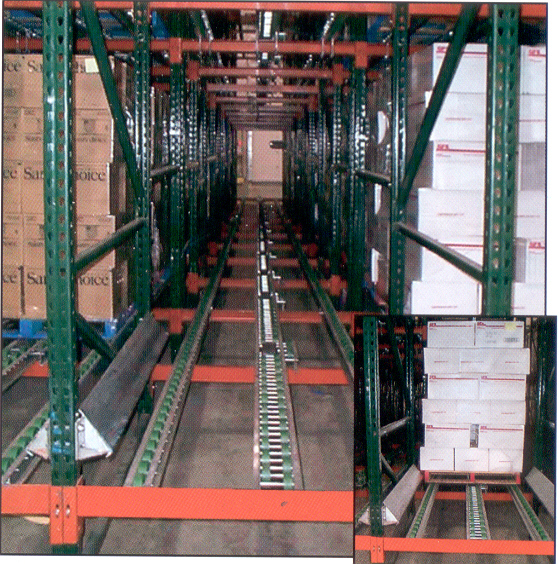 Pallet Flow lane depth varies widely, depending on application. Overall storage area can be reduced by 35% vs. Selective, in a typical 6 deep application.